Surrounded by 25 acres of magnificent gardens and grounds, The Endicott House is a mansion built in 1934 in the style of a French chateau. 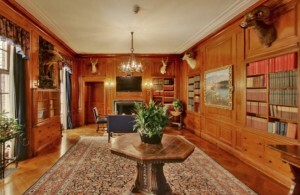 With a history enriched with old-world grandeur and enhanced by contemporary refinements, Endicott House offers a unique site for meetings or executive education. It is a world apart, yet only minutes from Boston. Warmed by rich wood paneling, marble fireplaces and oriental rugs, MIT’s Endicott House offers the luxury of a bygone era combined with state-of-the-art technology. It is an ideal setting for learning, reflection, and the pursuit of excellence. 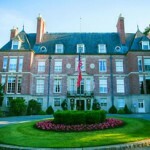 The fine historical ambience of Endicott House is complemented by the contemporary architecture of the adjacent Brooks Center conference facility. Each guestroom has a private bath and view of the grounds. The amphitheater-style Lecture hall and four seminar rooms are available for all your meeting needs; a large, bright foyer is available to enjoy a coffee break or a reception following your event. An outdoor deck and gazebo are also available for your use. The Endicott House is an escape to tranquility where your guests can indulge in a variety of leisure and recreational pursuits. Our spacious property affords the opportunity for horseshoes, bocce, badminton, volleyball, croquet and a fitness room. Our staff will be happy to arrange a round of golf at nearby courses. We take special pride in the gardens and grounds. In the spring, as our tulips are in full bloom, we also see geraniums, begonias, fuchsia, marigolds and lantana. Our poinsettias, calceolaria and orchids brighten winter days. Tall pine, rhododendron and dogwood also flourish on the 25 acre grounds. 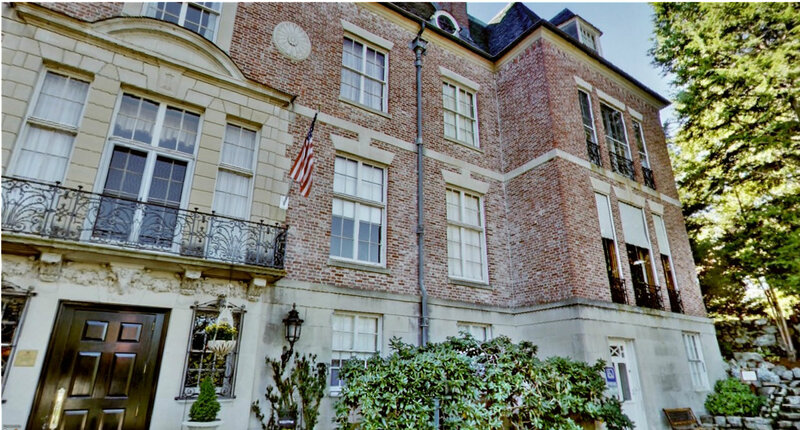 The Endicott House’s terrace opens onto the spacious back lawn, which provides a beautiful setting for outdoor recreational activities such as cookouts or parties. Ample parking is available, and walking trails wind through our gardens and grounds. The Mansion The mansion is also well known for grand parties. From festive holiday celebrations to first-class corporate dinners, Endicott House lends itself easily to any very special event. For casual gatherings, the grounds are perfect for cook-outs and summer picnics. In the evenings, guests are invited to enjoy snacks in the Gun Room. Bar service is also available. At The Endicott House, beauty surrounds every guest, from a stroll through our meticulously maintained grounds and gardens to a lovely meander on the wooded pathways that wind through the 25-acre estate. For the adventurous, The Endicott House is located a mere 30 minutes from downtown Boston.Take in a Red Sox game or experience the Boston Pops or the Boston Symphony Orchestra. Make your stay unforgettable by way of our famous swan boats, museums, fine restaurants, theaters, waterfront and historic landmarks. Are you an event or meeting planner looking for Boston’s smartest destination? Be our guest for a complimentary lunch and estate tour.